07 August 2018 – Regular CMIRC Meeting, 7 pm Hong Kong Lucky Restaurant with program by Don Linder, screenwriter. 16 August 2018 - Tour of Mae Tao Clinic, Mae Sot. Contact Jerry Nelson for details. 21 August 2018 – Regular CMIRC Meeting, 7 pm Hong Kong Lucky Restaurant with program by Shayne Rochfort on World Clean Up Day, September 15. 25 - 26 August 2018 - Rotary Foundation & Membership & Public Image Seminar, Phrae. 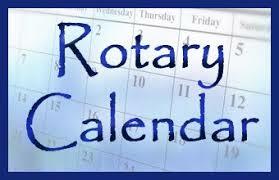 31 August 2018 - "Let's Talk Rotary" informal lunch for all club members at Fern Forest Café, 11:30 a.m.
02 October 2018 – District Governor’s Official Visit to CMIRC.